ROYAL PALM BEACH, Fla. -- A manager at a Royal Palm Beach Arby's restaurant is accused of using pepper spray on an employee and chasing him with a knife. At 12:30 a.m. on Sunday, March 17, 2019, deputies responded to the restaurant located at 9970 Belvedere Road. Coworkers described an argument between the manager, 21-year-old Le'Terria Akins, and an employee, 29-year-old Ernst Point Du Jour. Witnesses told deputies that Point Du Jour was upset about not being released from work and got into a heated argument with Akins. The coworker said Point Du Jour got up close to Akins and was very angry and this was when Akins pulled out her personal pepper spray can and sprayed it in his face. Following a brief struggle over the pepper spray can, Point Du Jour ran out of the store. Coworkers say Akins grabbed a long serrated kitchen knife, threw it at the door as he exited, then picked it up and chased him through the parking lot. According to witness accounts, Akins took the knife to Point Du Jour's vehicle and slashed at it. 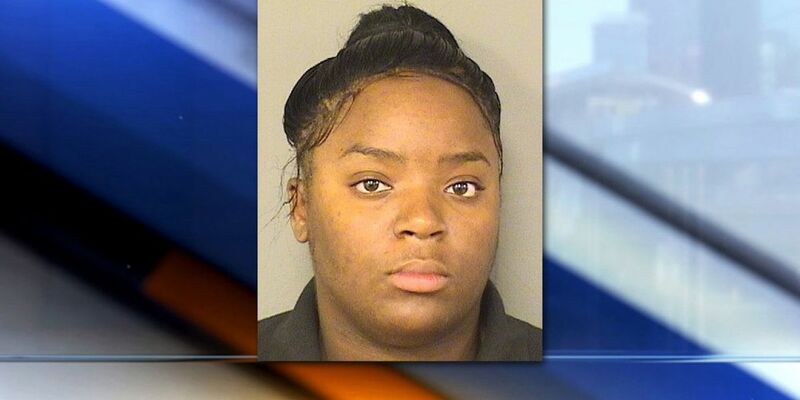 Le'Terria Akins is charged with Battery, Aggravated Assault, and Criminal Mischief.